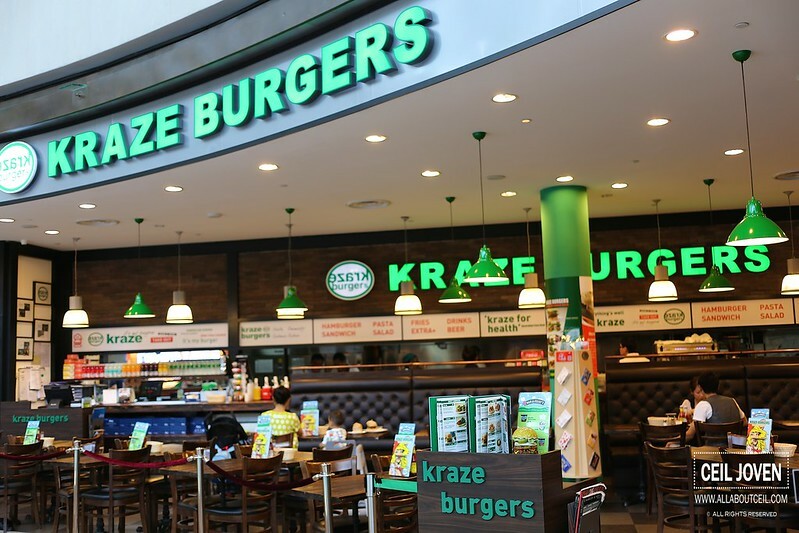 Kraze Burgers was established in 1998 at Apguieong-Dong of South Korea which was the first to introduce a restaurant specialized in providing premium burgers. 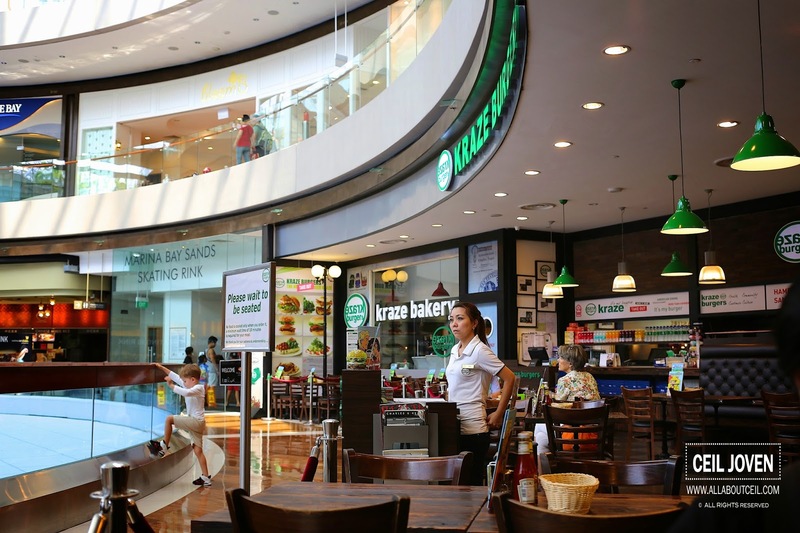 There used to be 3 outlets but their outlets at Liang Court and Plaza Singapura have already ceased operation, this outlet at Marina Bay Sands (MBS) is the only surviving outlet currently. We were ushered to a corner table then presented with menu almost immediately and the order was taken right after. The attentive service definitely left quite an impression. Mega Bite Burger ($18++). 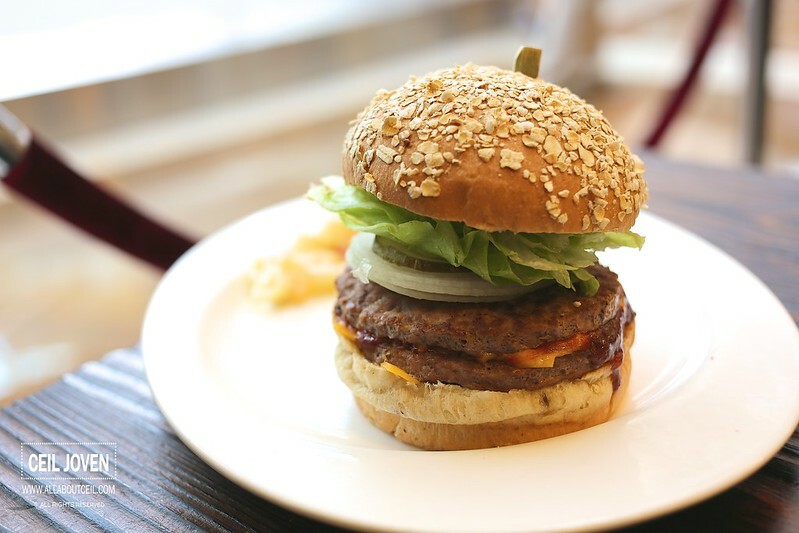 It consists of 2 pieces of beef patties with 2 slices of cheese to go with their Special Steak Sauce on a whole wheat bun served along with onion, pickle and lettuce. It was accompanied with a bit of pasta salad. My first impression was overpriced, after added in the GST and Service Charge, the price is about $21.00. An additional $8 is chargeable if is to upgrade it to set to include a soup and soft drink. Apparently, the taste did not quite justify the value. The beef patties were not as juicy as expected and their special sauce did not quite stand out as well. K. Onion Burger ($16++). 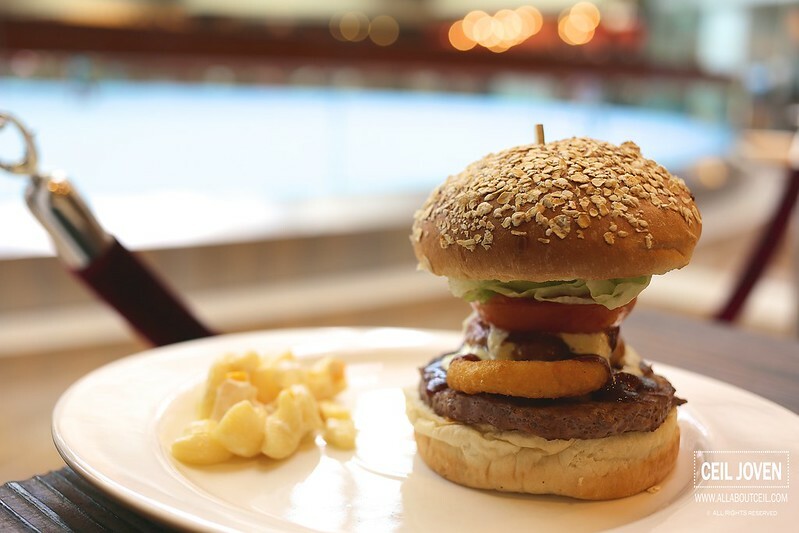 It is a traditional American Style burger consists of a piece of beef patty with crispy onion rings, cheese, bacon, lettuce and tomato together with honey BBQ sauce and cream cheese sauce on Wheat Bun. This burger fared a little better than the other burger. The main reason for such a difference is the sauces complemented much better. 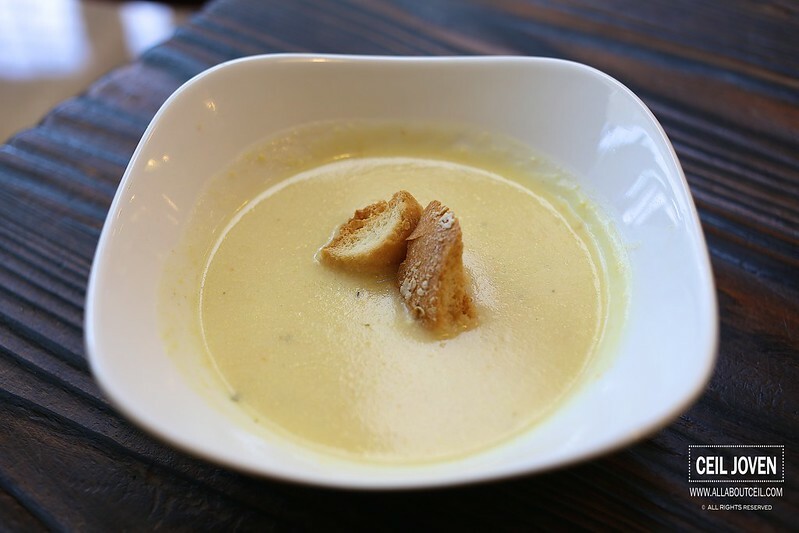 This is the Cream of Chicken Soup that is included in the set. It was decent. 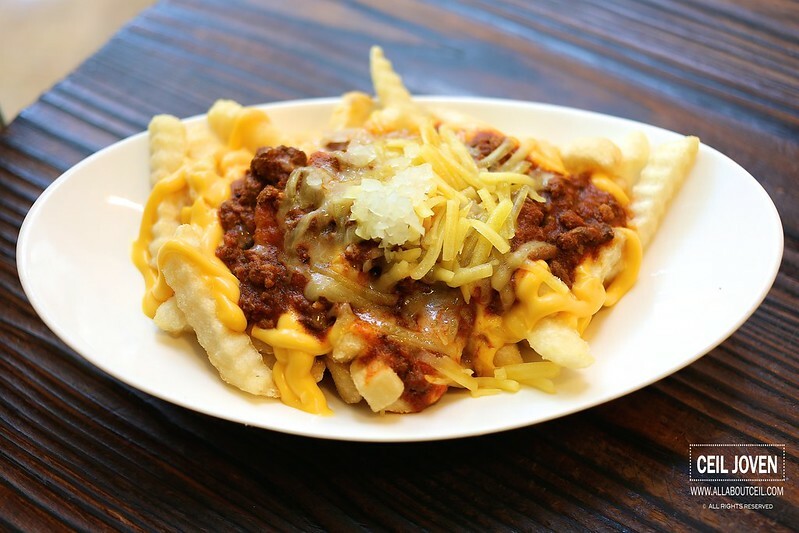 Chili Cheese Fries ($10++). It supposed to be one of their top sellers and it consists of Texas Chili with shredded cheese and cheese sauce together with chopped onions over crinkle cut fries. The thick cut fries might not be the ideal choice as it was quite soggy. The chili was pretty good though. It would be a good choice for side dish if the price is slightly lower. The total bill was $61.20 with GST and Service Charge added. 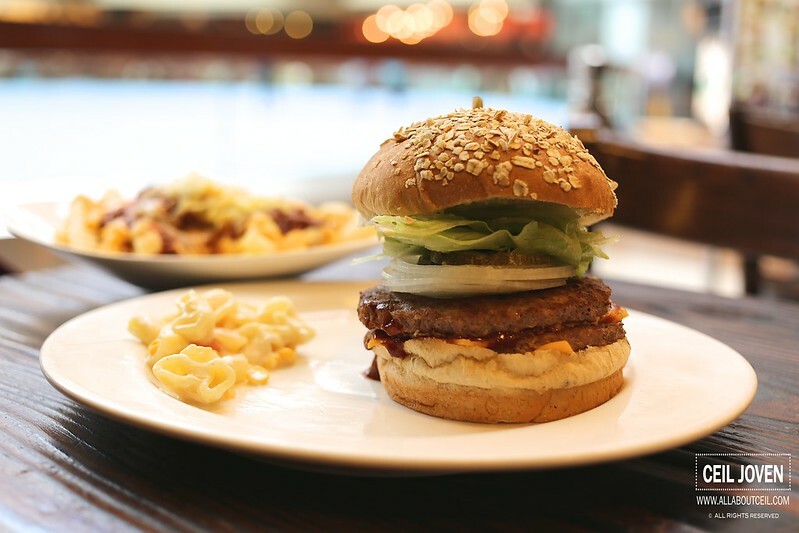 I am not quite likely to go back again as there are other choices of equally good burgers at a much lower price and without GST and Service Charge. An overpriced burger experience no doubt and that might be the likely reason why their other 2 outlets were closed down.